The latest blends and colors of plastic grass are in stock at Watersavers Turf, at a variety of price points for budget-friendly residential and commercial use. Installing our product in a 1000-square foot yard can offer lifetime savings of more than $30,000. In a yard where a live lawn costs $2,360 a year to keep up, synthetic turf of the same size costs just $200 a year to maintain. That’s a difference of more than 10x that yard’s annual maintenance budget. 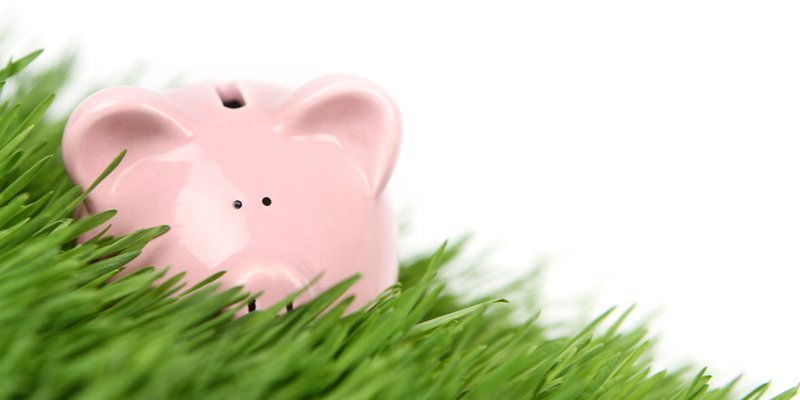 The savings with a real grass substitute come from its easier care regimen. Keeping our product in top shape requires little labor and no costly materials. With a plastic lawn, the yard stays green and soft with only occasional cleaning. There is no need to mow or to water. Pest control is a non-issue, and you’ll never have to fertilize, or to reseed bare dirt patches. The result is that in just a few years, plastic grass installation more than pays for itself. By year three, your investment can be fully recouped, and the savings will grow in every year after. Watersavers Turf offers an 18-year residential use guarantee. That means not only will your lawn pay for itself, but it can also save you tens of thousands of dollars over its lifespan. Our annual cost difference chart breaks down the numbers side by side, year by year. Compare the math, and see how much money you can save by going plastic. Choosing our product instead of a living lawn saves money, and it saves water. A report by the non-profit agency SNWA states that replacing a single square foot of living green with a water-smart landscape like turf can save 55 gallons of water each year. Local governments are always encouraging residents to go green and save water. The San Francisco Public Utilities Commission is offering rebates and financial incentives for home improvement projects that conserve H2O, and so are other water municipalities. Residential turf replacement and landscaping funds are available for large projects. There are also cash rebates for high-efficiency household appliances like toilets and washers. The landscaping rebates available in the San Francisco Bay Area are part of a statewide program funded by the California government, which support homes and businesses looking to switch from thirsty lawns. SF’s local funding programs encourage removal in favor of planting drought-resistant landscaping like native trees and shrubs. While attractive, these don’t offer the same open lawn space that many homeowners want for the look and feel of their yard. Pairing low-impact plants with a lawn substitute offer the best of both worlds. Contact Watersavers Turf to learn more about product line, or to get a free estimate on installation for your yard.